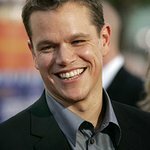 ONEXONE – the charitable organization committed to fighting health issues and preserving the lives of children locally and globally – along with Academy Award-winner Matt Damon, will host their 2nd Annual ONEXONE Fundraiser at Bimbo’s 365 Club in San Francisco, CA on Thursday, October 22. The evening will feature keynote speaker Vicki Escarra, CEO of Feeding America, along with a special headline performance from Snow Patrol, who is coming off their highly successful solo tour in the U.S. and recent sold-out tour with U2. Additional speakers and entertainment include Carlos Santana on behalf of The Milagro Foundation, Spencer Day, a local jazz vocalist from San Francisco, and Ethan Bortnick, the 8-year old pianist and composer. ONEXONE will also welcome back Jay Bilas for his second year as Master of Ceremonies. In addition, the annual fundraiser will announce details surrounding the organizations latest program in partnership with ONEXONE Ambassadors Matt Damon and Mia Hamm, and Academy-Award winner Charlize Theron and the Charlize Theron African Outreach Project. The partnership between ONEXONE and the Charlize Theron African Outreach Project pools their resources and combines their dedications in a new and unique charitable initiative that will be unveiled at the October 22 fete. The ONEXONE event in San Francisco focuses not only on raising funds and awareness for the issues, but also on producing a top-notch show that entertains and educates the audience at the same time. Last year’s inaugural event to celebrate the launch of their U.S. operation, and the international charity’s first American home, did just that while raising more than $1 million for the organization. ONEXONE was founded in 2005 by Diesel Canada President, Joelle Berdugo Adler, and has raised more than $7 million for children around the world since that time. For more information on ONEXONE please visit www.onexone.org.